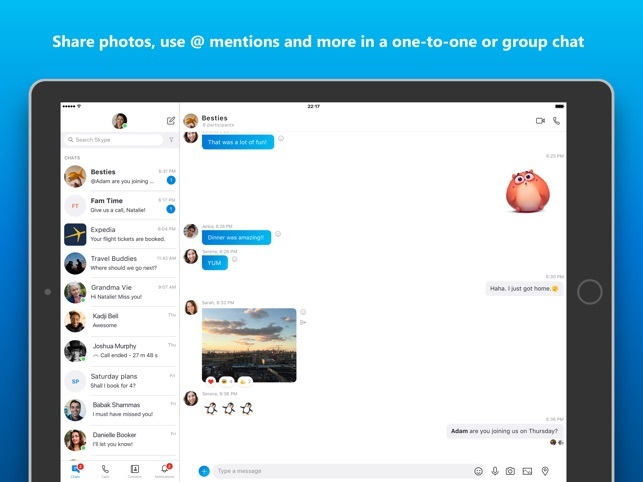 The Skype you know and love has an all-new design, optimised to help you stay connected with the people you care about most. 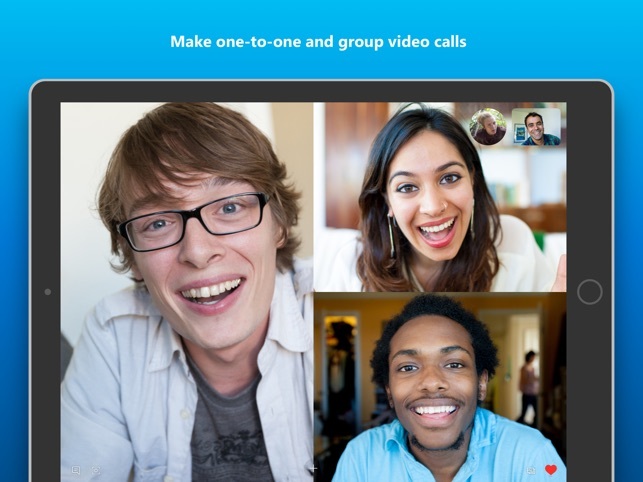 • Communicate easily with the people in your life through free Skype-to-Skype video/audio calls, personalised messaging and low-rate calling to mobiles and landlines around the world. Some problems, some times . . . . . . . Most times a brilliant connection and accasionally a break in the link but most times all good. What l cant fathom is why my contacts are most times shown off line when they say they are not. One of my friends tells me that my connection says l am away while l am online video talking to them. I have to guess and call blindly and hope they are there. Beyond all that it is brilliant to see and talk to folk using Skype. 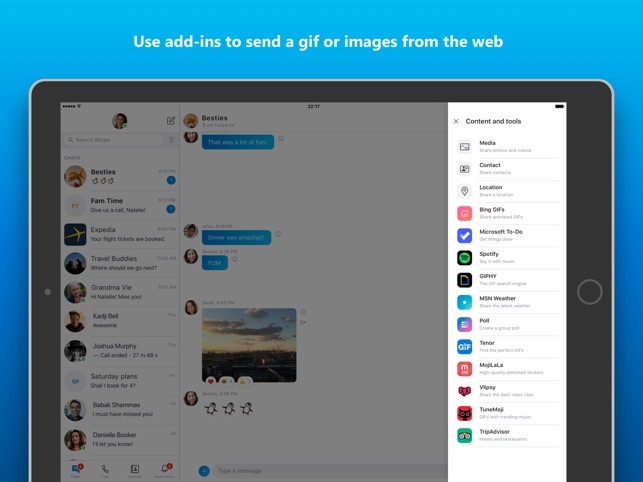 Would not be without it now, so many thanks to all at Skype. 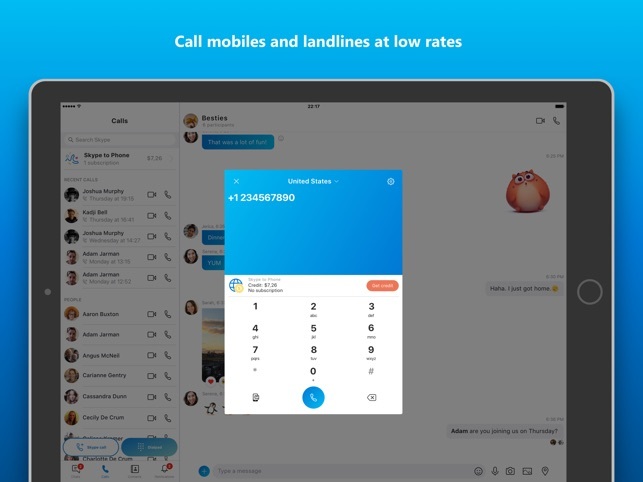 When selecting someone from Skype contacts you need to be able to see the contacts phone numbers to be able to select which number to call this does no seem available on my Skype it used to be available on my old Skype ???. Comments please.